Kim Fowley is a throwback to the record industry of old. A wheeler, a dealer, a mover and a shaker, he’s had his fingers in as many musical pies as he could manage at the one time. He’s done it all; manager, writer, producer, artist, promoter, you name it – a great example of a jack of all trades yet master of none. From the late 1950s onwards he seemed determined to involve himself in as many projects as possible, in the hope that one of them might stick long enough to guarantee himself a financially secure future and his place alongside Andrew Loog Oldham, Phil Spector and Brian Epstein on the Mount Rushmore of pop. Fowley might not be as well known or commercially successful as the names above and although he always seemed to be a half-step out of time with the trends of the day, his influence went far and wide. As The Beatles were clanging their first augmented 7ths off the Cavern Club’s walls, Kim was plying his trade as a West Coast Tin Pan Alley-style in-house writer. His daft novelty pop records credited to fictitious groups like The Hollywood Argyles sold by the bucket-load, even if you’d have trouble whistling them today (Alley Oop and Like, Long Hair, anyone?) His ear for A&R led to The Rivingtons having a hit with Papa Oom Mow Mow, a slice of duh-duh-duh-duh-duh doo-wop so blinkin’ catchy it spawned Surfin’ Bird, a tune that was the catalyst for bringing the brothers Ramone into the same rehearsal room. So, (at a creative stretch) no Kim Fowley, no Ramones. 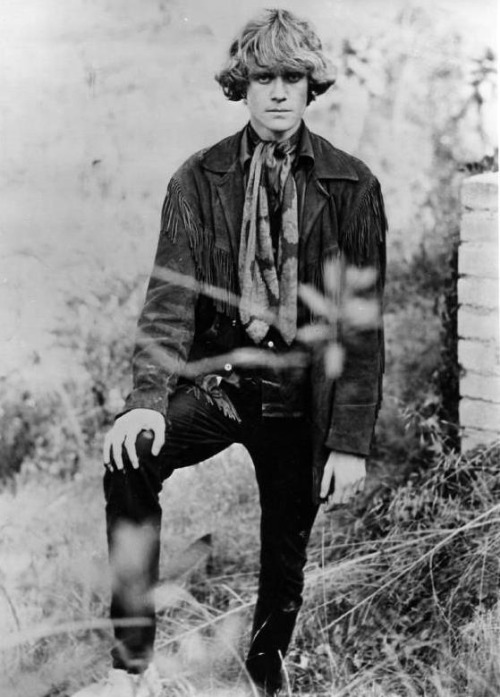 By the mid 60s, Kim was recording and releasing his own little blasts of garage punk strangeness. Selling less than zero, they quietly found their way back to obscurity before being picked up years later. Fowley’s original material has been oft-bootlegged and deserves to be heard. You’d like it. 1968’s Animal Man is the jewel in an off-kilter crown. A Hendrixian squall of strangulated Strats, it riffs along like the snotty-nosed big brother of the Jon Spencer Blues Explosion, a bass-less, thrilling ramalama. Kim comes across like a proto Iggy, yelping and yowling, barking and burping his way through a list of sexual desires – “I’m a pig! Oink Oink!”, getting pervier and pervier by the second until it fades out in more of that ear-splitting lead guitar. Another from 1968, Bubblegum grooves along on organ, restrained percussion and more of that wild guitar. Very of its time. But in a good way. Given that it comes out of the speakers sounding like a tank going into no man’s land, I think this version is the full-fat mono recording. 66’s Underground Lady is a one chord blues stomp, the kind you’ve heard a million times before, Kim sneering like a young Van Morrison fronting Them, Cuban heels stomping out the beat on the floor below. Young bands like The Strypes would kill for this sound. The Trip famously appeared on the original Nuggets LP. It‘s the claustrophobic, street walkin’, jive talkin’ oral equivalent of being 3 acid tabs to the wind. Itchy, scratchy and faintly unpleasant. It’s an essential listen, obviously. Following his failed assault on the pop charts, Kim moved into writing and producing, then management. In the 70s he wrote for artists as varied as Alice Cooper, Leon Russell, Kiss and Kriss Kristofferson. He also produced material for Jonathan Richman, although it failed to make the band’s debut LP. He then recruited 5 disparate female musicians, dressed them head to toe in figure-hugging denim, lycra and the occasional basque, called them The Runaways and set the pulse of every 15 year old mid-Western male racing. The Runaways paved the way for future all-girl acts such as The Bangles, The Go-Gos and Girlschool, proving that for once in his musical life, Kim was a step ahead of the curve. 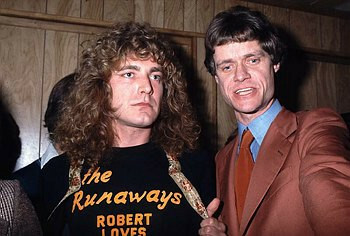 He’s still going strong, is Kim Fowley. In 2012 he published the first part of his autobiography and just a couple of months ago, at the age of 75, he married his long-term girlfriend. The second part of his story will be written on his death bed and published posthumously. Not your average Joe at all. He looks a wee bit like Lou Reed, aye?